“Taking the message to key stakeholders is an important element of this campaign so we have targeted a range of events at which landscapers, planners, local, state and federal government representatives and landscape architects will be present,” said CEO of Nursery & Garden Industry Australia (NGIA) Mr Robert Prince. 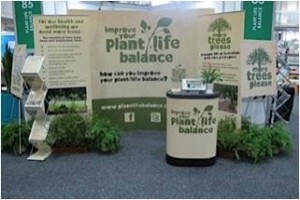 The display was featured at the Green Cities conference in Sydney in March. This event attracted more than 1200 delegates from across Australia as well as international delegates. The message will also be on display at the Parks & Leisure Australia national conference in Newcastle in September at which more than 350 delegates particularly from the local government sector will be present. “In November our Environmental and Technical Policy Manager Anthony Kachenko will be speaking at the “Thriving Neighbourhoods” international conference in Melbourne on the need to recognise green space as a necessary community asset,” Mr Prince said. “Thriving Neighbourhoods” is a conference on emerging global approaches to the planning, design and management of communities and cities that are set to radically improve the sustainability, liveability, health, and productivity of communities. It is being organized by ICLEI – Local Governments for Sustainability, an international association of over 1200 cities and local governments that have made a commitment to sustainable development. 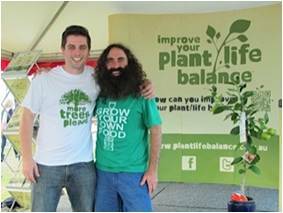 The More Trees Please display was at the national launch event for Plant Ark’s National Tree Day on Sunday July 29 In Sydney at which hundreds of plant seedlings were given away. It was also featured as part of NGIA’s sponsorship of the Plant Advice Clinic during the Melbourne International Flower and Garden Show in March, then travelled across to Perth where NGIWA had a display at the Perth Garden Week event in April. The display then travelled up to Brisbane for the Queensland Garden Expo at Nambour in July. “Many thousands of people have seen our More Trees Please message directly and have been made more aware of the Plant/Life Balance message,” Mr Prince added. The display or parts of it have also featured, or will feature, at ‘The Block Live’ in Sydney, EKKA show in Brisbane and a special expo at Urrbrae Agricultural High School in Adelaide. For industry the display first featured at the NGIA conference back in March, then at Next Gen events and was recently utilised at the Spring Garden Expo on the Gold Coast. 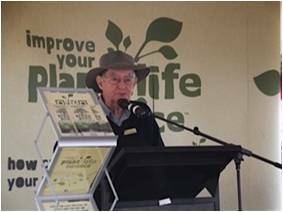 The display has been backed up by presentations to horticultural media in Queensland, New South Wales and South Australia and there was a special presentation to Victorian and national horticultural media during the Melbourne International Flower and Garden Show in April. In addition to the information leaflet, fridge magnets carrying the ‘more trees please’ message have been produced along with temporary tattoos which have been a hit with children – more than 1000 have been ‘applied’ to date!